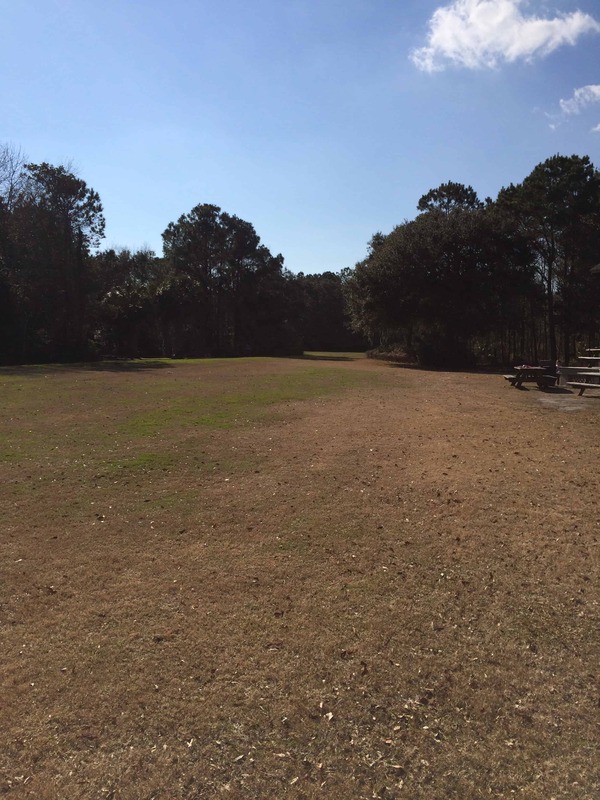 We’re on our tour to try every Charleston County park for our 101 in 1001 list. 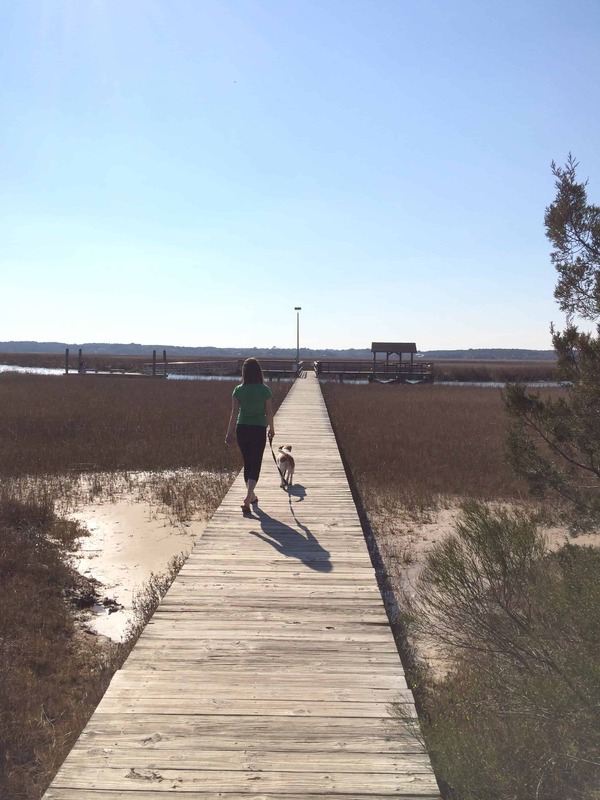 The James Island County Park is our home turf as it is only a mile away from our house. It is so convenient and has everything we could ask for in a park. 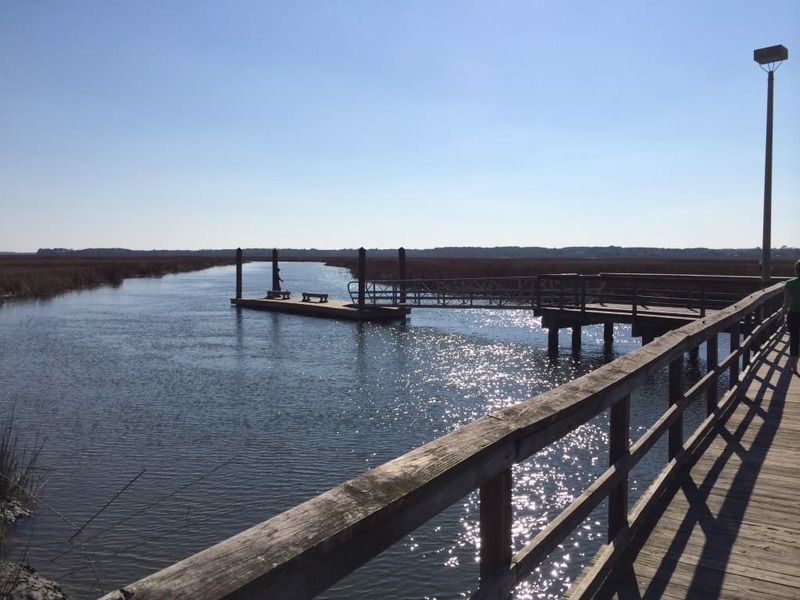 James Island County Park is 643 acres, which makes it big enough to hold a lot more than most of the other parks in the area. 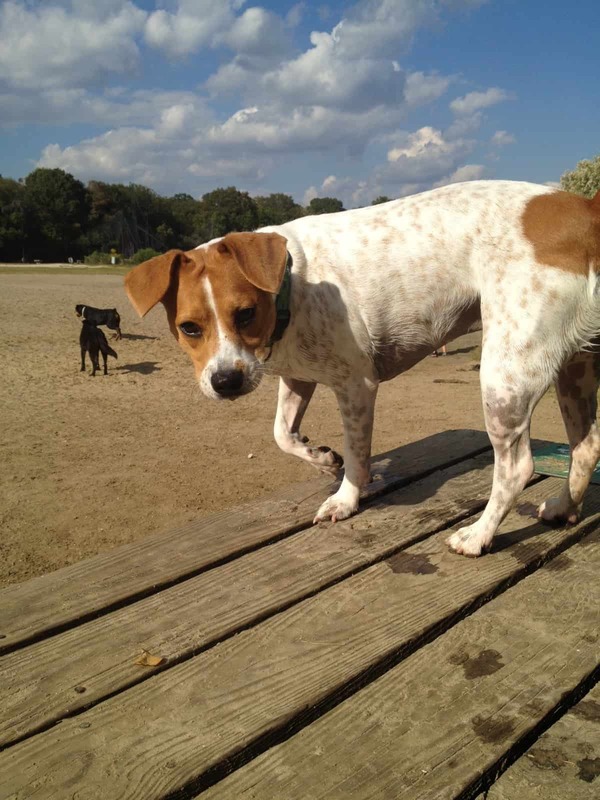 One of the features we use the most is the dog park, which is the biggest in the state. The dog park is a huge plot of land that is alongside a lake, so there are three beaches for the dogs to run on and play in the water. 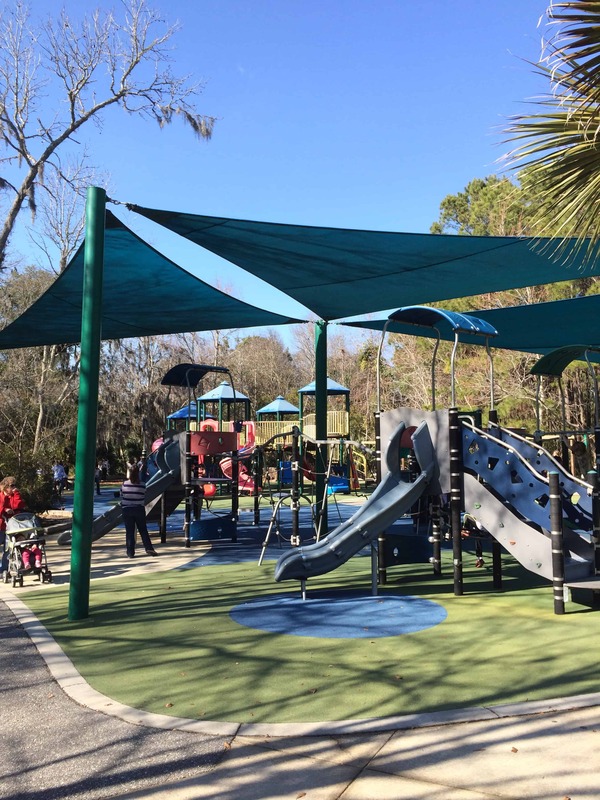 You can read our page on all of the Charleston County Parks here! More than four miles of trails run throughout the park which connect you between all the different sections. 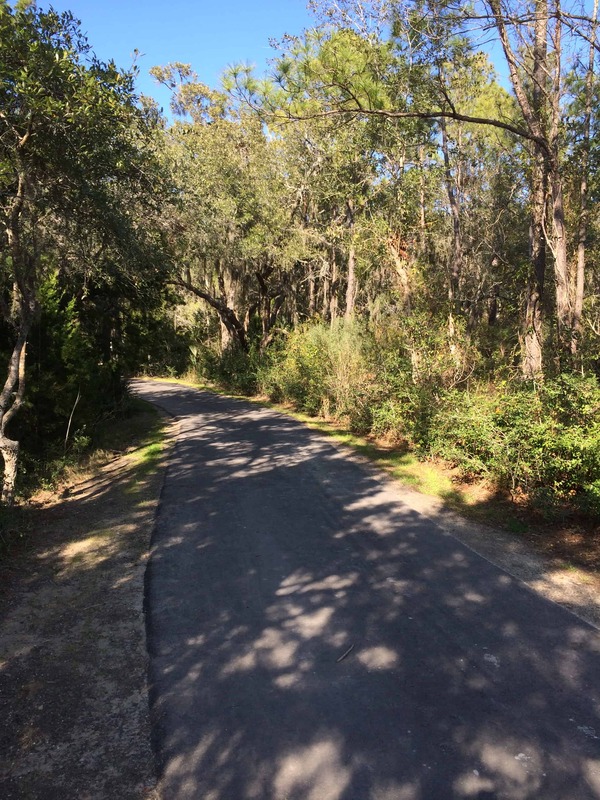 The trails are all wooded and offer great shade. Most of them are paved, but you can find a few dirt paths as well. 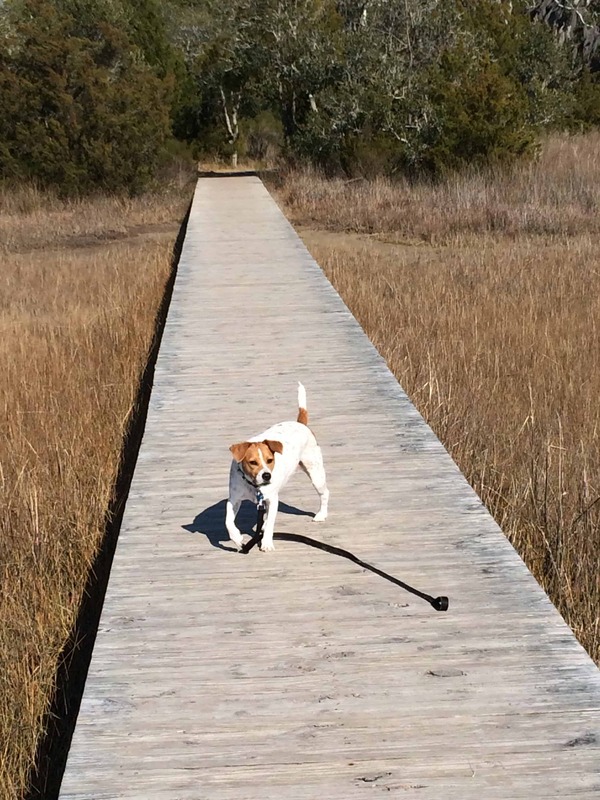 One of the best parts of the trails is the fishing pier with the beautiful views of the marsh. 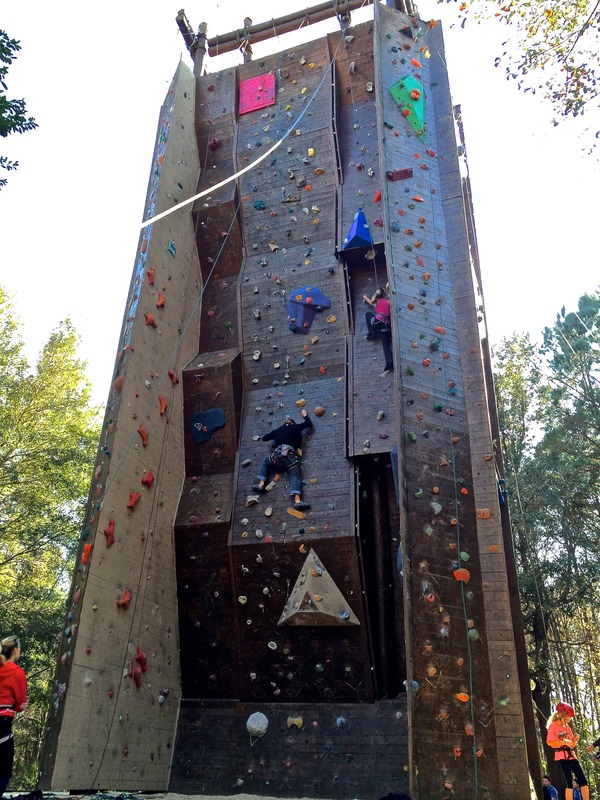 The park also has a climbing wall and water park that you can pay for that attract a lot of families. 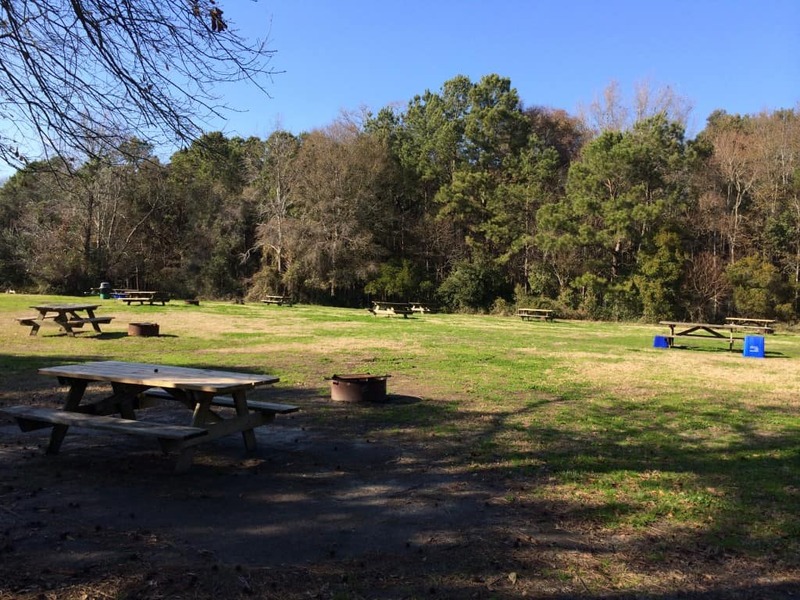 The park recently added an 18 hole disc golf course in the back of the park near the climbing wall. The course is the best in Charleston and one of the best that I’ve played anywhere. There are some very unique holes that I haven’t seen anything like at other courses. 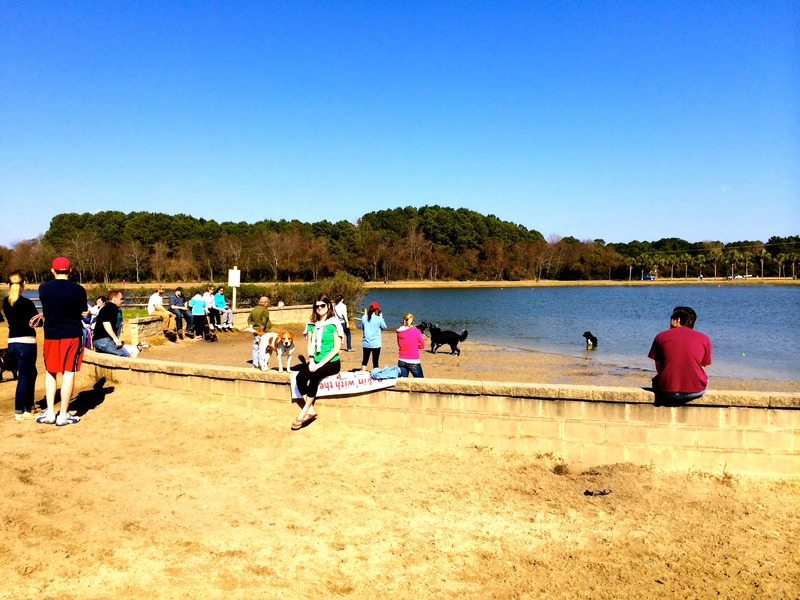 Other unique features of the park include big open fields, large playground, a big campground, the Charleston Sprint Triathlon Series and the annual Holiday Festival of Lights. The Festival of Lights draws thousands of people from all around the state. It features hundreds of huge light displays in different designs that people can enjoy from their cars and more by foot. 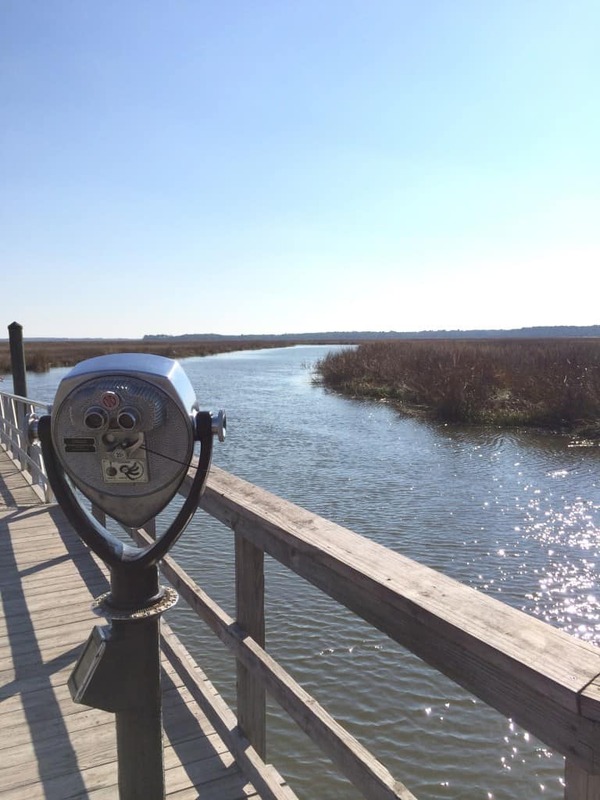 James Island County Park is by far our favorite park in Charleston and we’re so lucky to have it right around the corner. 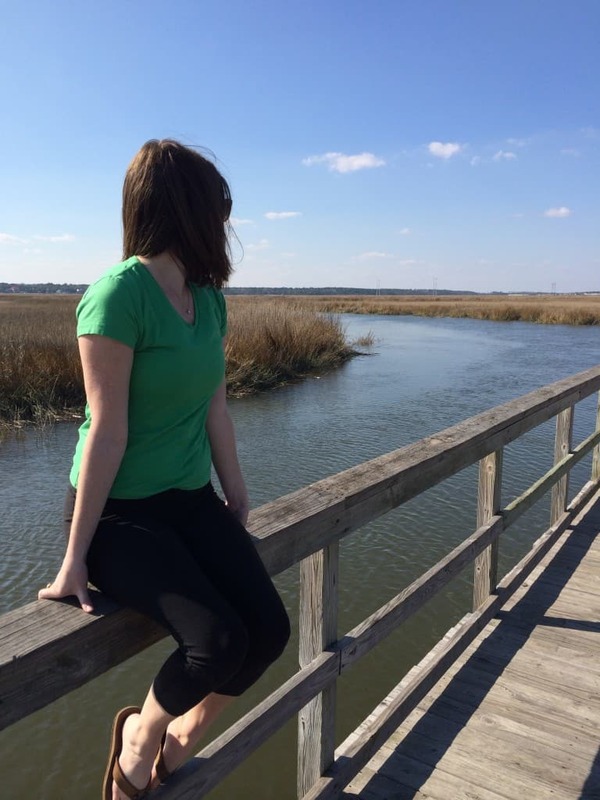 What’s your favorite outdoor spot in Charleston?